Computers!! - are slowly becoming a quintessential aspect which can be found everywhere; i,e in car engines, watches, microwave ovens, telephones, video games, x-ray machines, ATM's, touching every facet of our lives. Due to the rapid growth of Information Technology, computer industry has become one of the fastest growing segments of our economy. As a result, there exists a huge demand for Computer engineering professionals for the development of faster hardware components, new communication systems and software. Here comes the importance of Computer Engineering. 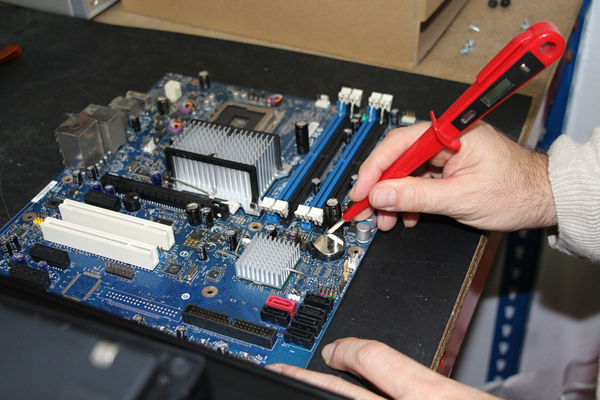 Computer Engineering involves designing and testing of computer components. It is a branch of Engineering, which studies elements from both electrical engineering and computer science angles, combining the principle and techniques of these two for the making and development of computer and computer-based systems. Professionals who work with computer hardware and software are termed as Computer Engineers. Computer engineers are a part of a team who apply their knowledge of mathematics and science for the design and development of a computer. Those who deal with the computer equipment as such, are termed as computer hardware engineers and those who deal with the computer programs are called computer software engineers. Computer software or software is a collection of computer programs, procedures and documentation that performs the major tasks on a computer system. Software engineers should have strong programming skills as they are concerned with the design and development of many types of software, including computer games, word processing and business applications, operating systems and network distribution and compilers, which convert programs to machine language for execution on a computer. Hardware engineers are involved in the research, designing, testing, manufacturing and installation of computer hardware such as computer chips, circuit boards, computer systems and related equipments. Their work is similar to that of electronic engineers but their work is exclusively limited to computers and computer-related equipments. Computer engineers have the option of moving into hardware or software positions or blending the two. On projects, both these engineers usually work together as a team. It is these computer engineers who design software and hard ware computer-based systems for embedded micro controllers, designing - VLSI chips, analog sensors, mixed signal circuit boards and operating systems.